"...there is a basic human need for us to be heard, seen, and valued; to be acknowledged in our life. " 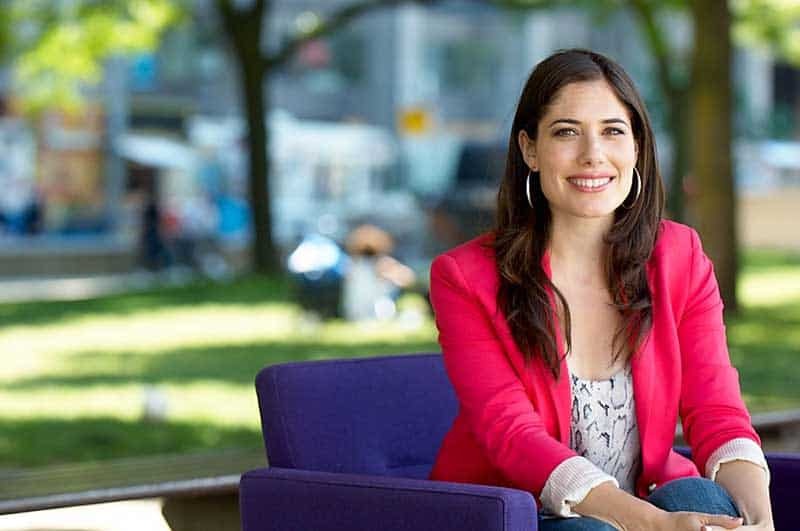 After completing her undergrad at Queen’s and a degree in Radio and Television Arts at Ryerson, Andrea knew she wanted to work in journalism—but she didn’t really know how or what exactly. In 2003, she decided to move to California where she landed a job as a researcher for a book on relationships. After interviewing some 300 couples, Andrea became pretty knowledgeable about the challenges met in relationships and began recognizing patterns. Without any real intention, her work as a researcher began her career path as an incredibly established relationship expert. In the past decade, Andrea has written over a dozen books (!!!!) including hot sellers He’s Just Not Your Type (And That’s a Good Thing) and Cheat On Your Husband (With Your Husband). She is a regular on-air personality for both NBC’s Today Show and CBS’s This Morning. Her latest accomplishment has her co-hosting the new series, Life Story Project, that is now playing on OWN (Oprah Winfrey Network). In Life Story Project, Andrea sits on a plush purple couch that gets plunked down in various high density intersections. She casually asks pedestrians if they want to sit on the couch and then dives right in, asking strangers to divulge their most personal feelings on camera. It sounds sensational, but really it’s a show that shares the fascinating stories of regular citizens, and in doing so, reminds us that we all have a story—and that we all face challenges. Andrea now resides in Manhattan. We caught her on the phone for an inspirational chat between tapings of yet another thing she is doing. SDTC: Why did you say yes to the Life Story Project? Andrea: This project aligned with my belief that there is a basic human need for us to be heard, seen, and valued; to be acknowledged in our life. It is a series that connects people on a deeper level. Everyone has a story and every story matters. SDTC: Were you surprised that people were so willing to sit on the purple couch? Andrea: We were surprised! We wanted everything to be comfortable and feel very conversational. Dale and I wanted to show them that we were accessible, not judgemental. I was surprised, but I think for a lot of people it was cathartic and exciting. SDTC: How does sharing our secrets and stories help us? Andrea: I think it frees us from the shame, especially with a secret. We are all human, we all go through hard times and have to face challenges. I think it’s helpful for people to remember they aren’t alone. SDTC: What have you learned since working on the Life Stories Project? Andrea: It has reminded me to continue to be grateful. This past summer has been one of the hardest: my mother was diagnosed with cancer, my friend died, and I had surgery—it was hardest summer ever, but I had the perspective from all of these people to help me push through. We really don’t know what other people are going through, and working on this show reminded me of that. SDTC: What advice would you give your 21-year-old self? Andrea: Hold on tight: it will be a fun ride! In my 20s my email password was “clarity,” because everything in my life was so fuzzy. Who was I going to date, what was I going to be? I had no idea. I was overthinking everything. So: don’t stress, don’t think too much; be authentic and let life unfold. The Life Story Project airs on OWN channel Wednesdays at 9pm EST.